Could we universalize the Brazilian market experiences? Some remarks: (a) the market seemed to be highly sensitive to the topic of collaboration, which in some way or another was already on the agenda of companies; (b) initiatives to create collaborative platforms were disarticulated, isolated from the operation and culture, and had no clear rules (stimulus, reward, organization, functioning); and (c) the biggest challenge for companies was how to equate a collaborative culture with the competitive business environment. The market did not know how to be transparent while preserving its competitiveness. As additional restrictive factors we also identified: no flexibility in production lines for external demands; complexity of the platform management; and no legal framework to protect companies from potential risks. a) Institutional sites: despite all technological advances prevail informative and institutional sites with limited interactivity features. The 45 sites analysed converge to a certain standard: predominance of channels of communication between brand and users (not among users); focus on brand interests; low interactivity; lack of collaborative technological resources; and motivation guided by commercial bias. b) Presence in online social networks: for six months our team monitored the presence in social networks of those selected brands. The standard attributes were: the use of social networks to disseminate the brand messages, relatively low uptake of Internet users; highest rate of “like” versus “comments”; predominance of “complaints” and standard responses by brands. In this case, the most common practice is to invite the users to dialogue in the private sphere conflicting with digital social network essence. Apparently, there is no strategy and the technological framework does not provide collaborative interactions. The apparent distance between the willingness shown by the executives who were at the head of these processes and the reality pointed to a structural issue, which motivated the second empirical research: the control logic that permeates the information and communication spheres of companies seems to block the evolution of (or adherence to) the network context, which splits into two main hypotheses: (a) in a society in which digital technology is widely divulged, companies are no longer players that have a linear and unidirectional dialogue with the consumer, but are part of a decentralized and complex information ecosystem with multiple players; and (b) the control logic of companies is antagonistic towards the communicative decentralization tendency of digital networks that are manifested in a more acute way in crisis situations. 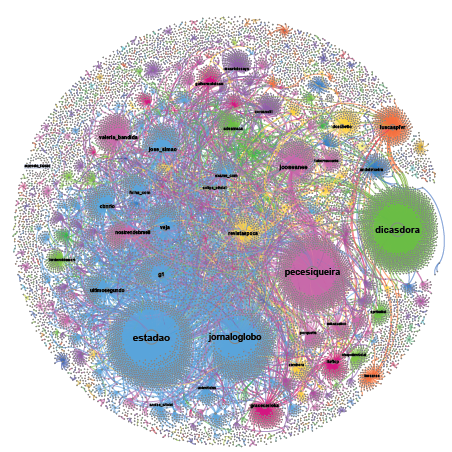 Supported by a theoretical framework and the research technique “Controversy Mapping”2 the second empirical research investigated controversies generated and disseminated in digital social networks. The research object was the “AdeS” apple juice contamination (product by Unilever). Studies of controversy are intended to observe the social life in situations where an agreement has not been reached. Controversies begin when things and ideas that were taken for granted begin to be questioned and discussed (Venturini, 2009). The contamination of AdeS apple juice, held in March 2013, put into question the Unilever brand reputation, reliability in its products and the recognition of quality as one of its main attributes. The choice of this controversy resulted a set of factors such as mass consumer product; Unilever position of consumer goods product leader in the world; one of the best brand reputations; no. 1 advertiser in Brazil (marketing-oriented strategy); and the major crisis faced by Unilever in its 85 years in the Brazilian market. These characteristics, among others, allowed us universalize the experience. 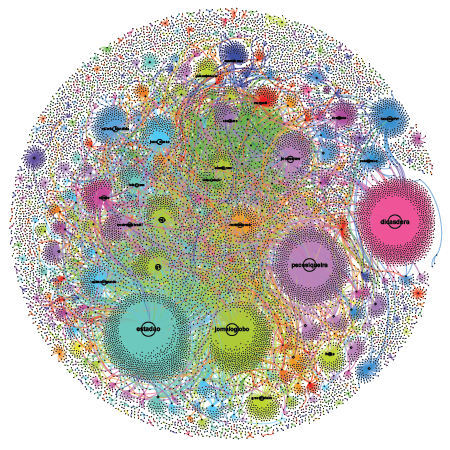 The visualization technology Gephi3 brought to light the traces of controversy actors and enabled to build diagrams and cartographic maps. The research was based on (a) controversy documents and web registers; (b) qualified interviews with Unilever’s strategic executive; (c) Unilever specialized agency reports; (d) manipulation of posts published on Facebook AdeS profile defining categories according to their content; and (e) acquisition of Twitter dataset containing tweets of AdeS crisis based of search terms defined by previous content analysis of posts and tweets. Picture 1: Increase in the web of the term “Ades”. Source: Google Trends/Brazil. The analysis was developed in two digital social networks: Facebook and Twitter, which were the focus of Unilever’s attention. The cartographic maps (graphs) and the analysis of social networks showed that (a) on Facebook Unilever was limited to formal announcements and to invite consumers to dialogue in one-to-one interaction (call center capacity was tripled at the peak of the crisis.) and (b) hardly interacted on Twitter. The graphs on Twitter were developed from Gnip dataSet, based on “Search Terms” previously defined. It was published about 35,000 tweets from 14 March to 1 April 2013. Although the AdeS official profile on Twitter had no visibility, the controversy became one of the “top trends” in Brazil. Were produced various maps each map devoted to a specific controversy engagement and language. Each of the maps reflects a point of view in the controversy and each network has their “spokesmen”. Alliances established in the networks. The map 1 stands out two clusters: media network and the network mood. In the first network spokespersons are the newspapers O Estado de S. Paulo and O Globo (@Estadao and @JornalOGlobo). In the second network the spokespeople are @pecesiqueira and @dicasdora. 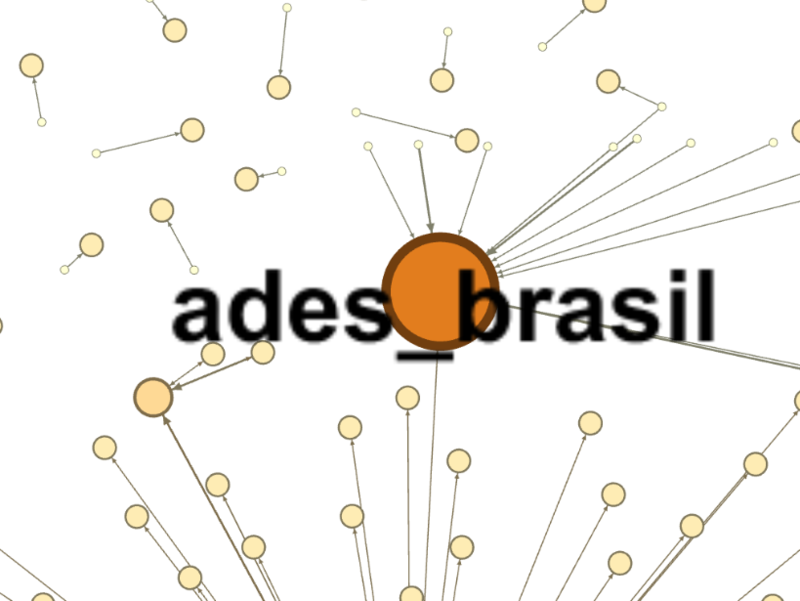 The map 2 shows the authorities pointing: (a) the non-expressiveness of @AdeS_Brasil profile and (b) the preponderance of mainstream media and mood profiles. Map 2: the authorities map (main profiles). The map3 shows a single tweet posted by AdeS profile during the crisis, probably exhibit in picture 2. Map 3: “ades_brasil” official profile. Picture 2: AdeS tweet about the crises. As a result of almost zero engagement of AdeS profile the maps do not reflect disputes or controversies between AdeS and consumers. The network contents of tweets are basically information even those of humor. Among the cartography evidence we observed two lines of Unilever strategy, namely: (a) appeal for a formal communication trying to meet legal requirements and not the digital social network characteristics and demands. The apparent “follow the law” strategy produced formal and bureaucratic communication pieces with low potential “viralization” and (b) “talk” to network leaders hoping they would spread their communications and messaging. Other evidences: consumers “detractors” prevailed with extremely aggressive messages against the brand; and the so-called “brand communities”, which provide a social structure for consumer-brand relationship, were not achieved. An initial appraisal it seems to reflect the lack of familiarity with the networks. Lack of familiarity, however, is not a cause but a consequence of the antagonism between the logic of the company and the logic of digital networks, the central research assumption. The company interests in digital social networks, in general, are monitor them and track demands which may be useful in the design and management of marketing and communications strategies. An opening dialogue means a level of transparency and decentralization that the structures and control practices in companies do not allow. The first action of Unilever after contamination was convening its Crisis Committee with the intention to “control” the circumstances and to protect themselves from legal actions and actions with the potential to negatively affect your brand image. In general terms Unilever (extended to other companies) are not prepared to face a crisis in digital social networks. It has no culture, strategy, channels, methods, procedures and tools. On the contrary, the corporate culture locks its adherence to digital networks. To build a positive relationship with the digital social networks would be essential that companies develop strategies to deal with its features: propagation power, invisibility, anonymity, transparency and dialogue in the public sphere. The authors usually treat such antagonism as an evolutionary process; the tendency would be to overcome at some point in the future. In our view, the question is of a different nature. Control culture and practise have been inherent in companies since their origin in the first Industrial Revolution and they have survived even with all of the flexibilization of recent decades. The company as we know it is not prepared for coexistence with the dynamic of networks. There is a conflict between the company environment of rules and controls and the network environment with no rules and “without control”4. 1 Research carried out by Atopos Research Centre, School of Communication and Arts, University of São Paulo. The detailed description and results of the research are in the book entitled “Empresas e Consumidores em rede: um estudo das práticas colaborativas no Brasil” (Network Companies and Consumers: a study of collaborative practices in Brazil) by Dora Kaufman and Erick Roza (KAUFMAN; ROZA, 2013). Seven companies supported the research, namely: Google, Tetra Pak, Itaú Bank, Abril Group, Magazine Luiza, Construtora Tecnisa and Serasa Experian. 2 Mapping of Controversies developed by Bruno Latour in the 1990s, initially as a set of techniques to investigate preferably public disputes around technoscientific issues and later evolved into a full research technique. 3 Gephi. Access Set 01 2014. 4 The “without-control”/“non-control” in inverted commas means the non-control by companies. BENKLER, Yoshi. The Wealth of Networks: How Social Production Transforms Markets and Freedom. New Haven/Londres: Yale University Press, 2006. 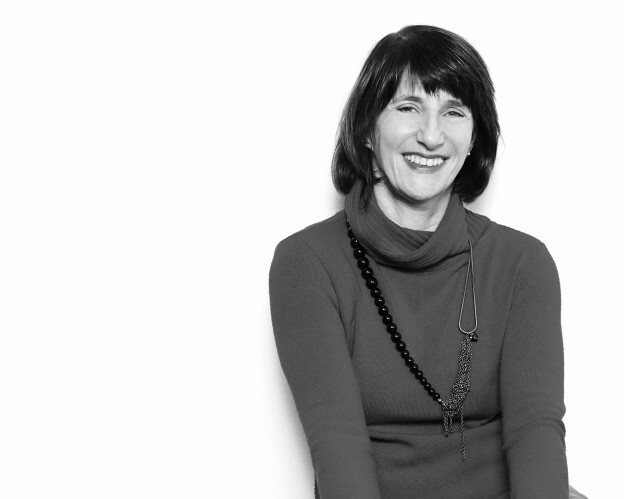 ______; NISSENBAUM, Helen. Commons-based Peer Production and Virtue. The Journal of Political Philosophy, v. 14, n. 4, pp. 394–419, 2006. Available in: www.nyu.edu/projects/nissenbaum/papers/jopp_235.pdf. Access August 07, 2013. CASTELLS, Manuel. The Network Society. Blackwell Publishers Ltd. Oxford, UK 2000. FOUCAULT, Michel. Surveiller et Punir: Naissance de la prison. Gallimard,1975. GLADWELL, Malcolm. The Tipping Point: How Little Things Can Make a Big Difference. New York: Little, Brown and Company, 2002. GRANOVETTER, Mark. The Impact of Social Structure on Economic Outcomes. Journal of Economic Perspective, v. 19, n. 1, pp. 33-50, 2005. KAUFMAN, Dora; ROZA, Erick. Empresas e consumidores em rede: um estudo das práticas colaborativas no Brasil. São Paulo: Annablume, 2013. KELLY, Kevin. New Rules for the New Economy: 10 radical strategies for a connected world. New York: Penguin Books, 1999. ______. Networks, Societies, Spheres: Reflections of an Actor-network Theorist. 2010. Available in: www.bruno-latour.fr/sites/default/files/121-CASTELLS-GB.pdf. Access March 08, 2014. ______. On actor network theory: a few clarifications plus more than a few complications. 1990. Available in: www.bruno-latour.fr/sites/default/files/P-67%20ACTOR-NETWORK.pdf. Access August 07, 2014. ______. On Technical Mediation: Philosophy, Sociology, Genealogy. Common Knowledge, v. 3, n. 2, pp. 29-64, 1994. Available in: www.brunolatour.fr/ article?page=5. 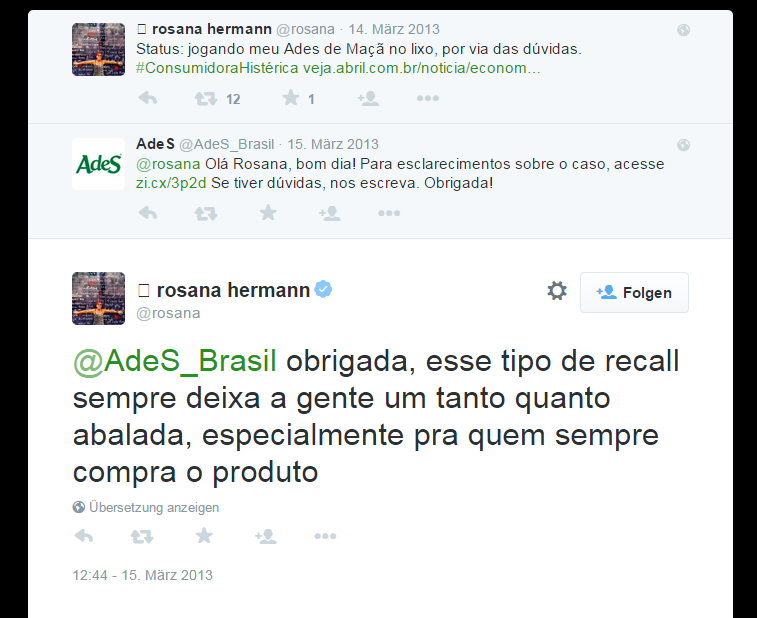 Acesso em: 20 março 2014. ______. Spheres and networks: two ways of reinterpret globalization. Harvard Design Magazine, Cambridge, 2009. ______. To modernize or to ecologize? That’s the question. In: CASTREE, N.; WILLEMS-BRAUN, B. (orgs.). Remaking Reality: Nature at the Millenium. Londres/New York: Routledge, 1998. Available in: bruno-latour.fr/sites/default/files/73-7TH-CITY-GB.pdf. Access Nov 15, 2014. ______; CALLON, Michel. Unscrewing the Big Leviathan; or How Actors Macrostructure Reality, and How Sociologists Help Them To Do So? In: KNORR, K.; CICOUREL, A. (orgs.). Advances in Social Theory and Methodology. Londres: Routledge/ Kegan Paul, 1981. LAW, John; HASSARD, John. Actor Network Theory and after. Oxford: Blackwell Publishing, 2005. MEYROWITZ, Joshua. No sense of place: The Impact of Electronic Media on Social Behaviour. Oxford: Oxford University Press, 1985. MORGAN, Gareth. Images of Organization. EUA: Sage Publication, 2006. PIORI, J. Michael ; SABEL, F. Charles. The Second Industrial Divide: Possibilities for Prosperity. New York: Basic Books, 1984. PUECH, Michel. Homo sapiens technologicus: philosophie de la technologie contemporaine, philosophie de la sagesse contemporaine. Paris : Éditions Le Pommier, 2008. RAINIE, Lee; WELLMAN, Barry. Networked: The Social Operating System. Cambridge: MIT Press, 2012. RIFKIN, Jeremy.The Third Industrial Revolution: How Lateral Power is Tr ansforming Energy, the Economy, and the World. New York: Palgrave Macmillan, 2011. ______. The Zero Marginal Cost Society: the Internet of Things, the Collaborative Commons, and the Eclipse of Capitalism. New York: Palgrave Macmillan, 2014. ROGERS, Everett M. Diffusion of Innovations. New York: Free Press, 1983. Available in: www.google.com.br/#q=ROGERS%2C+Everett+M.++Diffusion+of+Innovations. Access Nov 25, 2014. SEN, Amartya. Development as Capability Expansion, 1988. Available here. Access Out 10, 2014. TAPSCOTT, Don; WILLIAMS, Anthony D. Wikinomics: How Mass Collaboration Changes Everything. USA: Penguin Group, 2008. VENTURINI, Tommaso. Building on fault: how to represent controversies with digital methods. Public Understanding of Science, n. 21, pp. 796-812, 2012. Available in: http://www.medialab.sciences-po.fr/publications/Venturini-Building_on_Faults.pdf. Access August 05, 2014. ______. Diving in magma: how to explore controversies with actor-network theory. SAGE publications, 2009. Available in: www.google.com.br/#q=Diving+in+magma %3A+how+to+explore+controversies+with+actor-network+theory. Access August 05, 2014. ______. Piccola introduzione alla cartografia delle controversie. Etnografia e ricerca qualitative, v. 3, 2008. Available in: www.google.com.br/#q=Piccola+introduzione+alla+cartografia+delle+controversie. Access August 05, 2014. WEBER, Max. Economy and Society. EUA: University of California Press, 1978,2013. WELLMAN, Barry. Studying Internet Studies Through the Ages. In: BURNETT, Robert, et al. (orgs.). The Handbook of Internet Studies. Oxford: Wiley-Blackwell, 2009. ______. The Tree ages of Internet studies: tem, five and zero years ago. New Media & Society, Londres, v. 6, issue I, pp. 123-129, 2004. ______; et al. The Strength of Internet Ties. Pew Internet & American Life Project, 26 janeiro 2006. Available in: www.pewinternet.org/Reports/2006/The-Stregth-of-Internet-Ties.aspx. Access August 05, 2014. ______; HAMPTON, Keith. Living Network in a Wired World. Contemporary Sociology, Toronto, v. 28, n. 6, pp. 648-54, 1999. This post is part of a weekly series of articles by doctoral canditates and researchers of the Alexander von Humboldt Institute for Internet and Society. It does not necessarily represent the view of the Institute itself. For more information about the topics of these articles and asssociated research projects, please contact info@hiig.de.